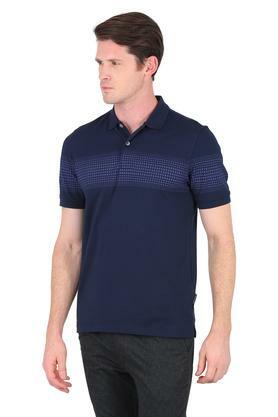 Introduce style to your everyday staples with this polo t-shirt from Van Heusen. Made of good quality fabric, this t-shirt will keep you at ease. 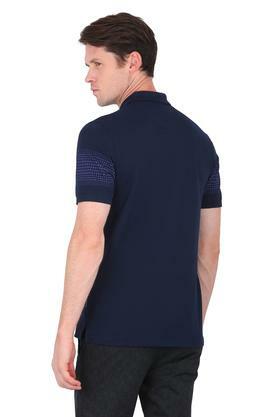 It has a printed pattern, which renders it smart, while the short sleeves accentuate its overall design. 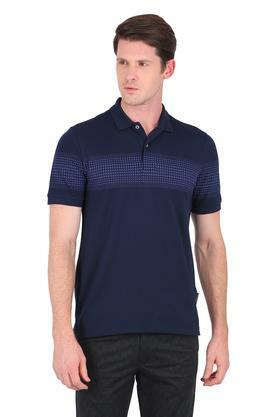 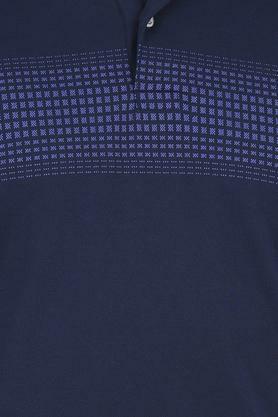 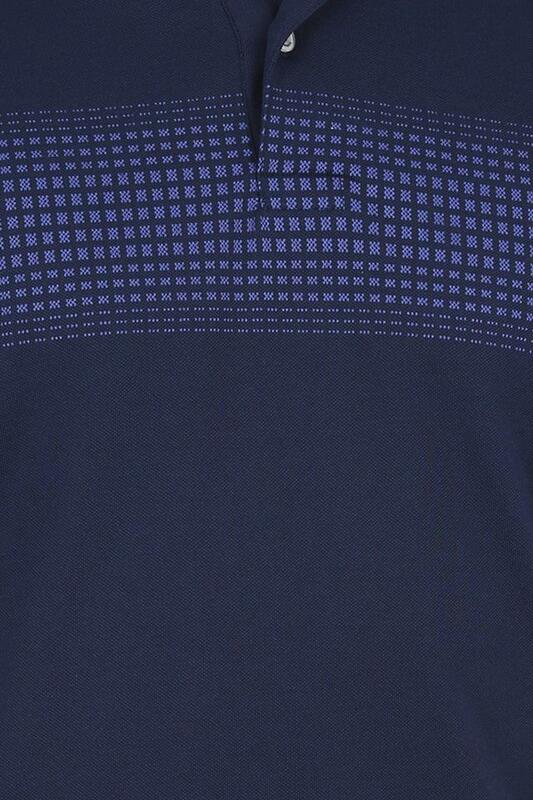 Infuse a contemporary touch in your ensemble with this polo t-shirt. 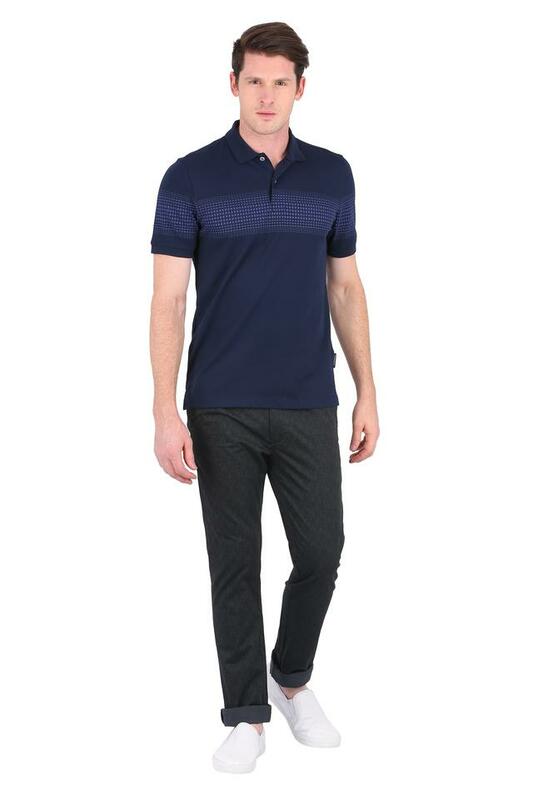 Team it with a pair of heavy washed jeans and boat shoes to make yourself worth noticing at any casual event.